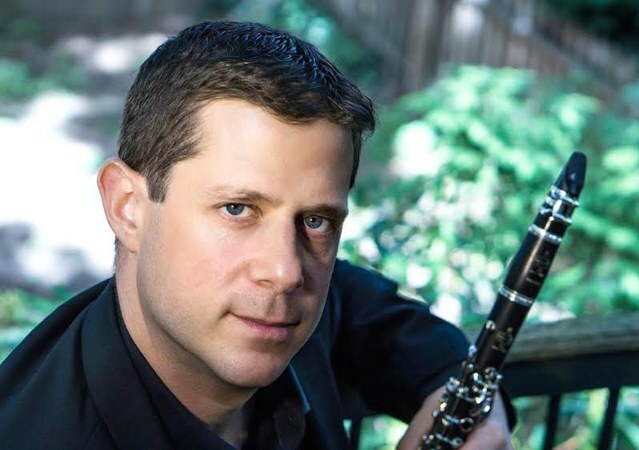 Hailed as a player of great « emotion, skill, and intensity » (Sioux City Journal), who « played with reverence » (New York Sun) and demonstrated « clean, incisive clarinet playing » (American Record Guide), New York–based clarinetist Benjamin Baron enjoys a diverse career as a performer, educator, and clinician. He has performed with the New York Pops, American Ballet Theater Orchestra, American Composers Orchestra, West Point Band, Belgian Radio Orchestra, and the London Winds, and has toured across North America, Europe, and Asia. Baron can be heard as principal clarinet and soloist on recordings with the Philharmonic Orchestra of the Americas, Chamber Orchestra of New York, and The Knights Chamber Orchestra, all currently available on the Sony, Naxos, and Orange Mountain Music labels. As principal clarinet with the New York Symphonic Ensemble, Benjamin performed the Mozart Clarinet Concerto on the orchestra’s thirty-fifth year of summer tours throughout Japan. Additional solo engagements have included the New Haven Symphony, Sioux City Symphony, Ensemble du Monde, One World Symphony, as well as university bands and orchestras in both the United States and Europe. A versatile musician, Baron has performed with a varied set of chamber, new music, theater, and jazz ensembles—including the International Contemporary Ensemble, Ensemble ACJW, Argento Chamber Ensemble, Paragon Ragtime Orchestra, Sylvan Winds, Quintet of the Americas, Either/Or Ensemble, Tommy Dorsey Orchestra, and the Broadway productions of On the Town, Wicked, and Mary Poppins. Festival appearances include domestic and international engagements in Verbier, Graz, Delft, Williamstown, the Hamptons, Napa Valley, and with the Glimmerglass Opera Orchestra. As an educator, Benjamin serves as the director of instrumental music at Manhattan’s Calhoun School, and is an adjunct associate professor of music at Lehman College, City University of New York. He regularly presents master classes and clinics at universities throughout the United States, and has also taught within the precollege departments of the Manhattan School of Music and Mannes College The New School for Music. Baron holds graduate degrees from Yale University (M.M.) and the Manhattan School of Music (D.M.A. ), where he studied with David Shifrin, Mark Nuccio, and David Krakauer. Undergraduate studies were completed with Robert Spring at Arizona State University (B.M. ), with additional degree work earned at the Royal Conservatory of Belgium with Eddy Vanoosthuyse, funded through a grant from the Belgian-American Educational Foundation. Baron’s book, The Audition Method, written in collaboration with Mark Nuccio, is currently available through GIA Publications. He is a D’Addario Performing Artist and an Artist/Clinician for Buffet Music Group. More information is available at .